Our Typesetting / Graphic Design team here at Short Run Forms can handle any type of artwork creation or changes that you may need on your job. 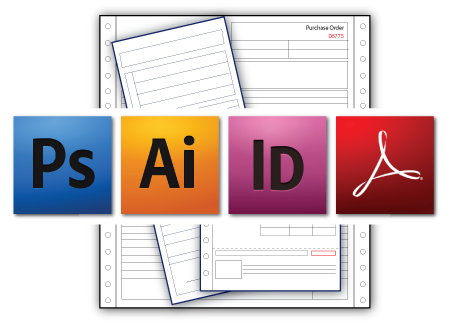 We are fluent in all the major Adobe Design programs such Adobe Photoshop, Adobe Illustrator, Adobe Indesign, Adobe Professional as well as some others that help with prepress manipulation of files. Don’t lost time trying to do it yourself or by sending it to someone who may take days to get back to you. We do not take shortcuts. In fact, we make sure your changes are done the correct way and provide you with the best quality PDF of your job. You can trust we will go above and beyond for any request you may have. Contact our typesetting department if you need help with your next project.